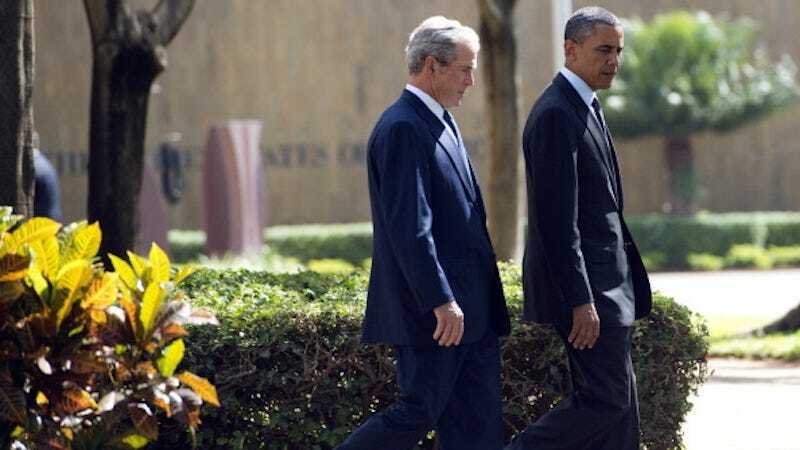 On July 12th, President Barack Obama and former President George W. Bush will join mourners at an interfaith memorial service in Dallas, Texas. Each will speak to honor the memories of the police officers killed last Thursday night. According to ABC News, the president will also speak privately with the families of the fallen officers. Vice President Joe Biden and former First Lady Laura Bush will attend the service too. Next week the president will meet with law enforcement, civil rights leaders, and community activists at the White House. These conferences will mark yet another effort to enact meaningful change within American law enforcement — to combat its violence and systemic racism. At a press conference Saturday, Obama spoke to the necessity of a workable plan that would stem this tide of bloodshed.